1.) 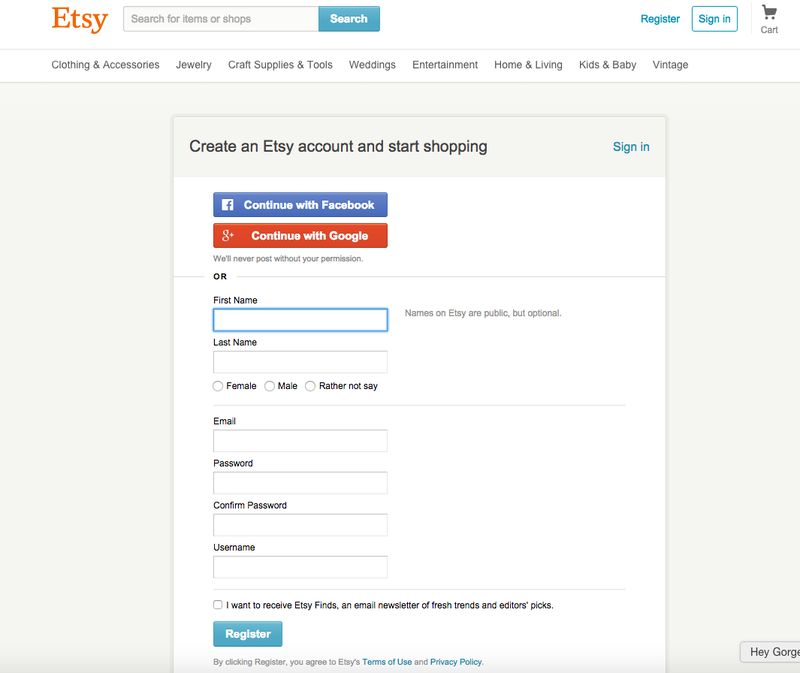 After you go to Etsy.com and click “Register” fill out your information. 2. Confirm your E-mail address by clicking the link in the E-mail they send you. Then complete your profile information. 4. Name your store. 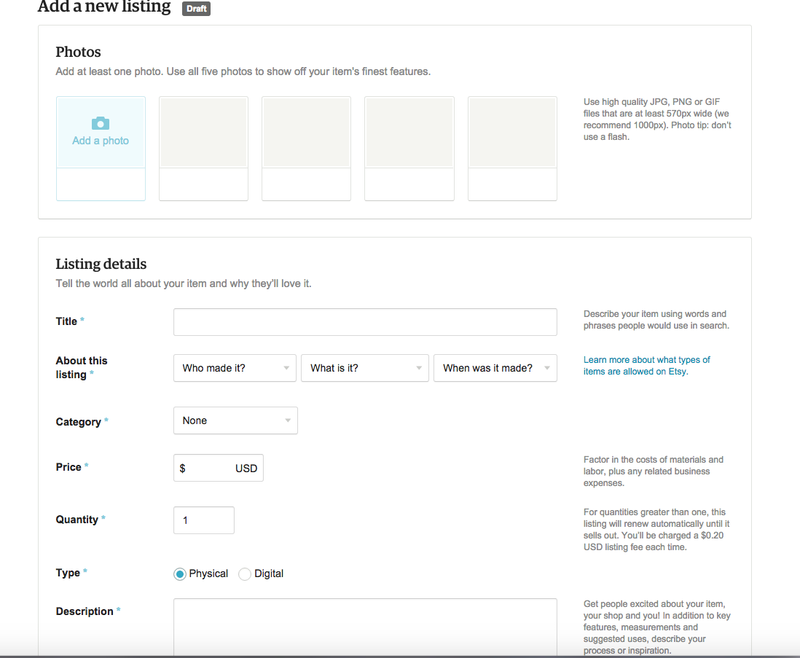 Then click next and push “Add a new listing.” It will take you to a page where you fill out your listings. 5. 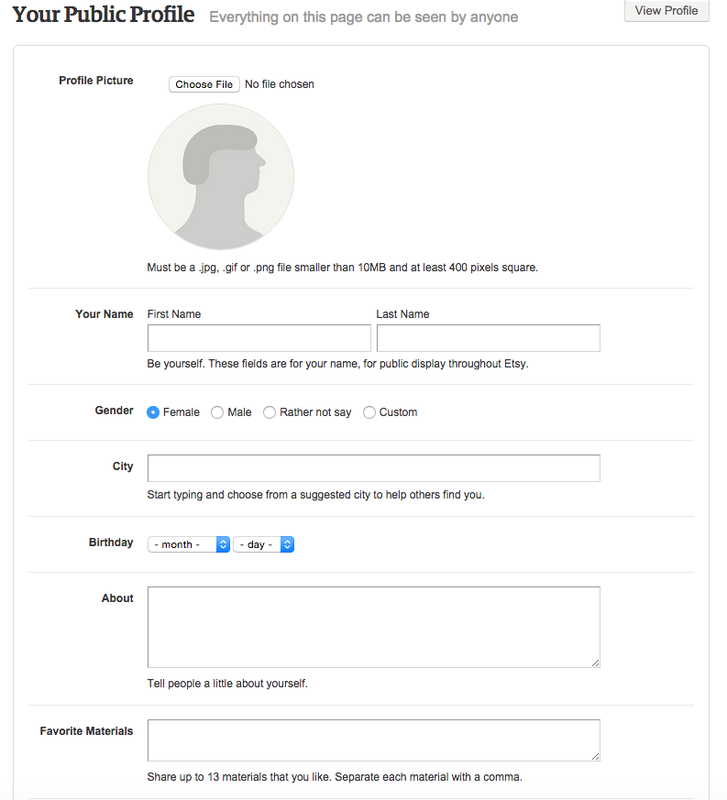 Add in the descriptive info, the shipping costs and a photo of your listing and you are up and ready for business!